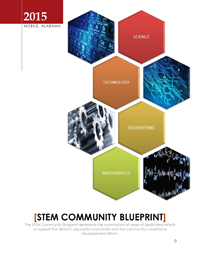 STEM Community Blueprint. The Blueprint, developed by MAEF, MCPSS, Business and Community Leaders, will serve as a roadmap for all community stakeholders as we continue to sustain and expand STEM education and grow a STEM-ready workforce. Cranford Burns Middle School | 6175 Girby Rd.